Look for a beer in your local store that fits the BJCP beer style 7B "California Common" and (ironically) you'll find that it isn't very common at all, at least not the way it used to be 100 years ago. If you find any, it'll most likely be Anchor Steam Beer, a clean tasting lager with a deep amber color, thick & creamy head, and subtle grainy/toasty/caramelly notes. Balancing out the malt is a firm hop bitterness with distinct woody/minty flavours (some people pick out evergreen or juniper) from the exclusive use of Northern Brewer hops. With roots dating back to the 1800's California Gold Rush, the style is an American original that was developed in the cool San Francisco area in an attempt to match the traditional German cold fermented lager styles even though refrigeration wasn't readily available. Higher than normal lager fermentation temperatures were therefore used. Brewed as an inexpensive beer for the working class, California Common was found almost everywhere along the West Coast and was brewed by as many as 25 breweries in San Francisco alone. Over the course of the next 100 years, the style almost completely disappeared. 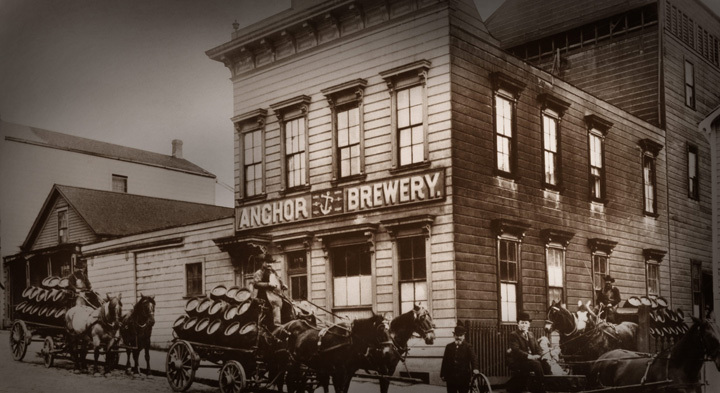 By 1965, the Anchor Brewery of San Francisco was the only brewery still producing the beer, but it was also in peril given lack of interest and various quality problems through the 1950s and '60s (the beer was frequently sour from unintentional contamination). That same year a young Fritz Maytag (the great-grandson of Maytag Corporation founder Frederick Louis Maytag) was looking for something serious to do with his life so when he heard that his favourite brewery was about to close, he bought controlling interest of the brewery for a few thousand dollars and made it his mission to save it from closure. Over many years Maytag worked at altering the recipe and the brewing process and the beer eventually surged in popularity. 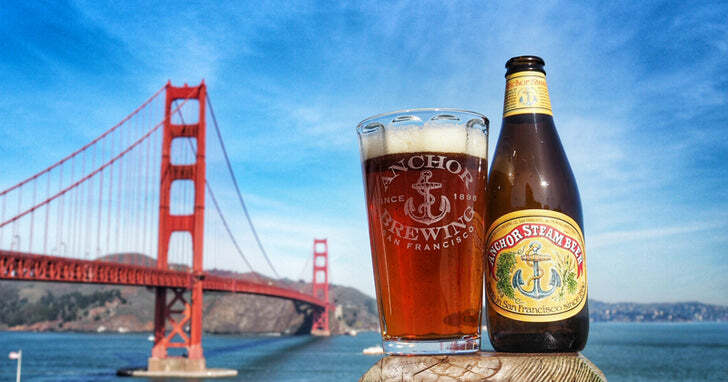 The rebuilding period ended in 1971 with the first modern bottling of Anchor Steam Beer, kicking off the craft beer revolution in the San Francisco area. 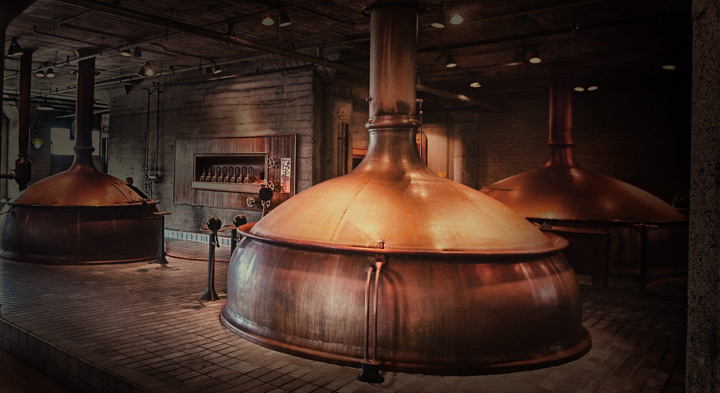 The brewery, once located on the upper floors of a building in what is presently San Francisco's Design District, moved in 1979 to a new location nearby at the base of Potrero Hill, and throughout the coming years demand continued to climb. Not wanting to sacrifice the small size of the brewery, and in turn the quality of the beer, Maytag helped competitors become proficient in microbrewing. This helped to ease the strain on his own company and further increased craft beer market penetration. 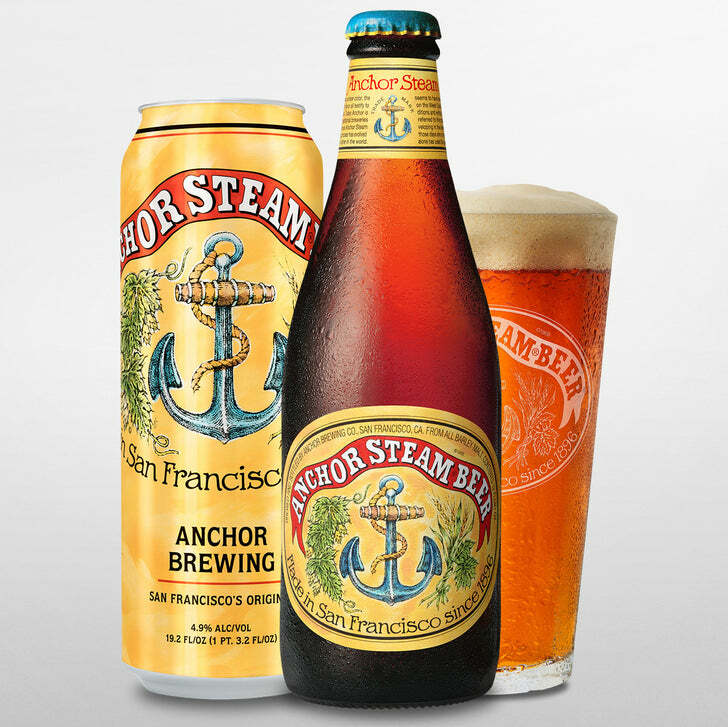 In 1981 Anchor Brewing trademarked the term "Steam Beer" as their own, cementing the style as "California Common". While incorrect, the two are often used interchangeably. In 2010, Maytag sold the company to former Skyy vodka executives who expanded Anchor's business while keeping a commitment to artisan brewing. There have been various explanations for the use of the word "steam" in the name. 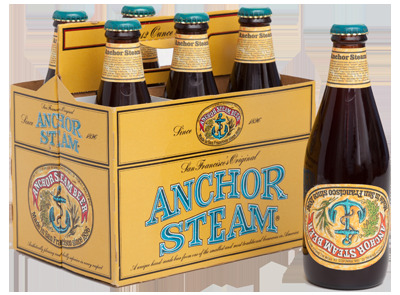 According to Anchor, the name "steam" came from the fact that the brewery originally had no way to effectively chill the boiling wort using traditional means. So they pumped the hot wort up to large, shallow, open-top bins on the roof of the brewery so that it would be rapidly chilled by the cool air blowing in off the Pacific Ocean. Thus while brewing, the brewery had a distinct cloud of steam around the roof let off by the wort as it cooled, hence the name. 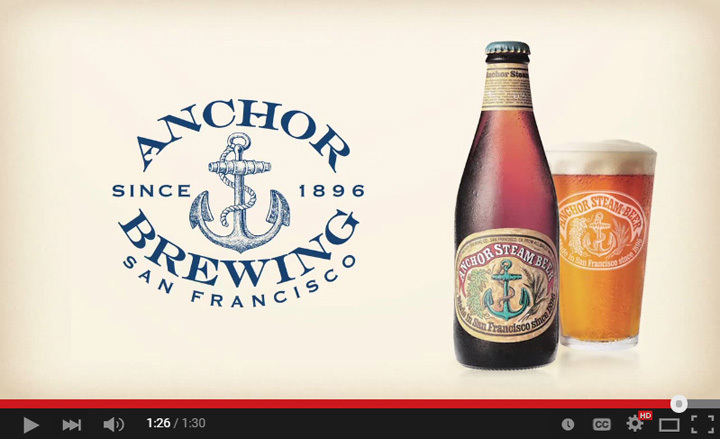 While Anchor Steam Beer originated and still is brewed on the West Coast, this beer does not showcase your typical citrus American hops or aggressive bitterness you'd come to expect from "West Coast" style beers such as a West Coast IPA. The malt and hops are very much balanced, resulting in a very crisp and quaffable beer. California Common is one of the few beer styles that doesn’t allow for much leeway in terms of ingredient choice. The Northern Brewer hops and special warm-fermented lager yeast are key. While there's some room to play with the malt bill, changing out the hops for anything other than Northern Brewer or substituting the White Labs WLP810 San Francisco Lager or Wyeast 2112 California Lager yeasts should be avoided. You need the woody notes from the Northern Brewer hops and the slight fruitiness from the yeast. Both yeast strains are known to retain clean lager like characteristics working at higher temperatures than are traditional used with lagers. I find fermenting at 60-62F ambient works well (the brewery with its close proximity to the Pacific Ocean had temperatures that averaged around 60F ambient so they would have done something similar). The Wyeast and White Labs yeast strains are both purported to be sourced directly from Anchor Brewery so use whichever is easier for you to find. I first brewed this June 16, 2015 (batch #186). Brew up a batch and let me know how you like it! (Hit minimums on Ca and Mg, keep the Cl:SO4 ratio low and close to equal with slightly accentuated SO4). 1.25 qt/lb mash thickness. Single infusion mash at 152F for 90 mins. 60-90 min fly sparge with ~5.6-5.8 pH water (measured at mash temperature). Collect 13.9 gallons in boil kettle. Cool wort to 60F and aerate well. Ferment at 62F until approximately 2-5 points from final gravity, then raise the temperature to 70-72F and keep it there for 2-4 days to reduce diacetyl (a buttery flavour produced by some yeasts). Package as you would normally. I keg and carbonate at around 2.5 volumes of C02. The beer will improve greatly if kept near freezing for 1-2 months before serving. I use a lagering/conditioning fridge that holds 6 kegs, set to just above freezing that holds a small 5 pound CO2 tank so that the kegs can condition/lager and carbonate at the same time. Is it posible to download your beersmith file of this recipe? I'm afraid I do not use BeerSmith. Sorry! (More info on what I use and why here). Everyone's efficiency is different so you'll have to adjust for your specific setup as well, and odds are the hops AA% won't the same either so some adjustment (mostly in the 60 min addition) would be required. BeerSmith I believe also has a bunch of equipment based parameters that won't necessarily transfer from one setup to the next, so I highly recommend that people just recreate recipes themselves in whatever software they use to make sure they don't overlook something that the original person created that may not apply to your setup. It also helps the new brewer learn. You are totally right! i will recreate this recipe as you recommend. Btw do you still recommend the Hanna Phep 5 pH meter?, i will buy my first ph meter soon and seems the Hanna is the first candidate. It's been working great, zero issues. I'm also still on my first probe after 6 years. Follow the storage instructions I outline there with the special storage solution and you should be able to get the same sort of use out of it. I love this beer.... thanks for sharing! Neat story about the upside down label.